Coast 2 Coast Day 29: Fighting The Wind for Pie! 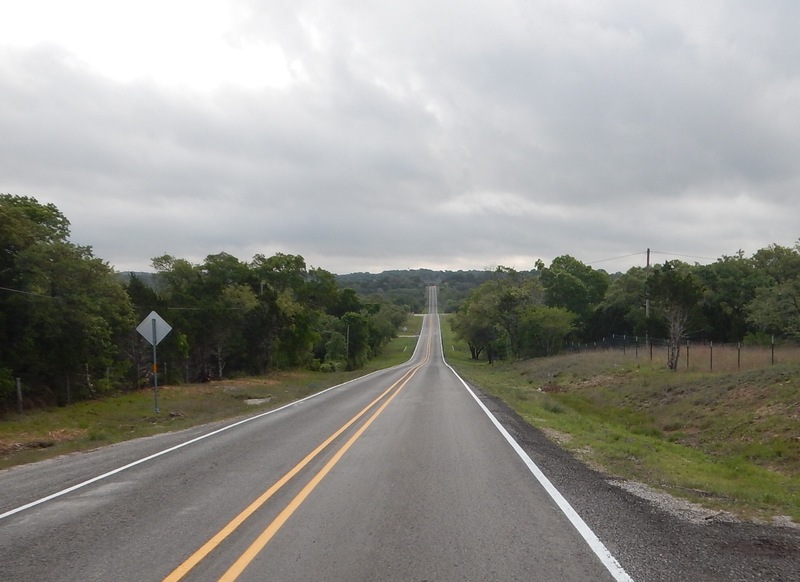 Riding in the hill country of Texas has been beautiful. The road surfaces are very much improved and the scenery is very pretty. Today is a windy, cloudy day. The sun finally comes out late in the afternoon. 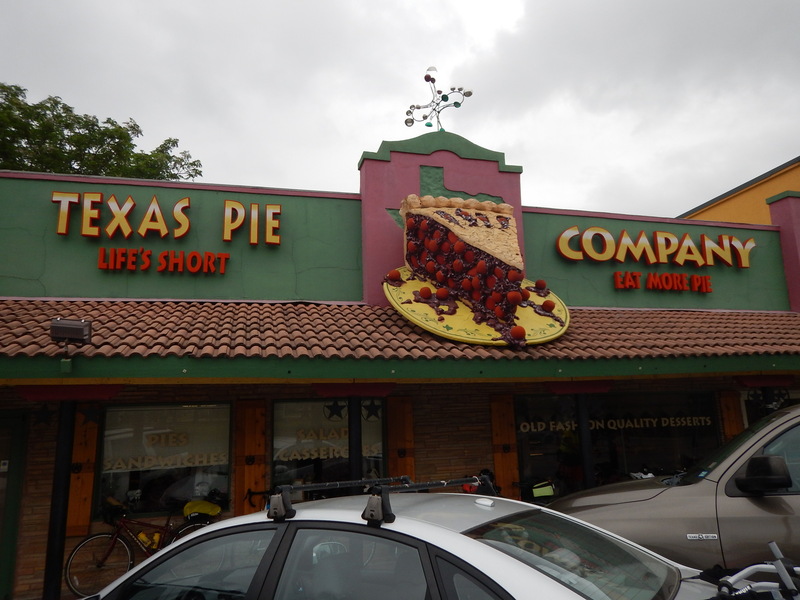 Hill country is famous for pies and today our lunch spot is just the ticket. 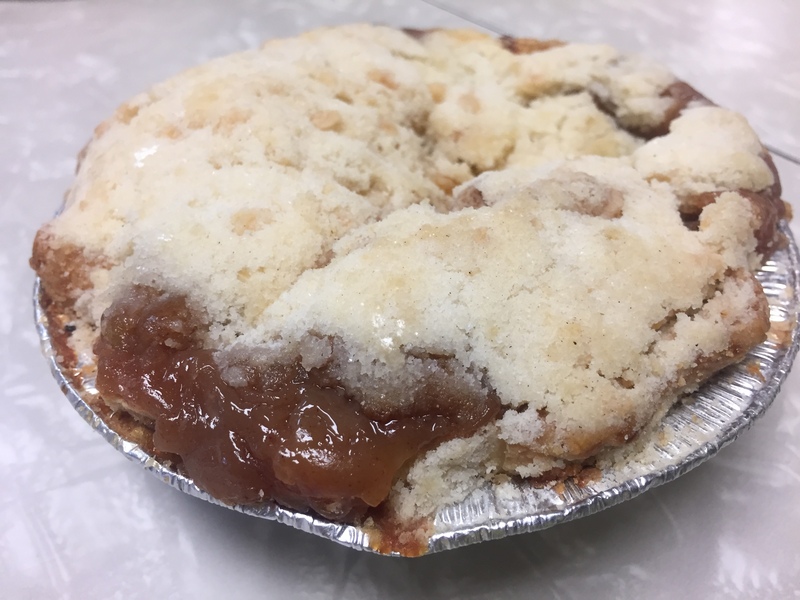 We split a sandwich and then we split a mini apple pie. 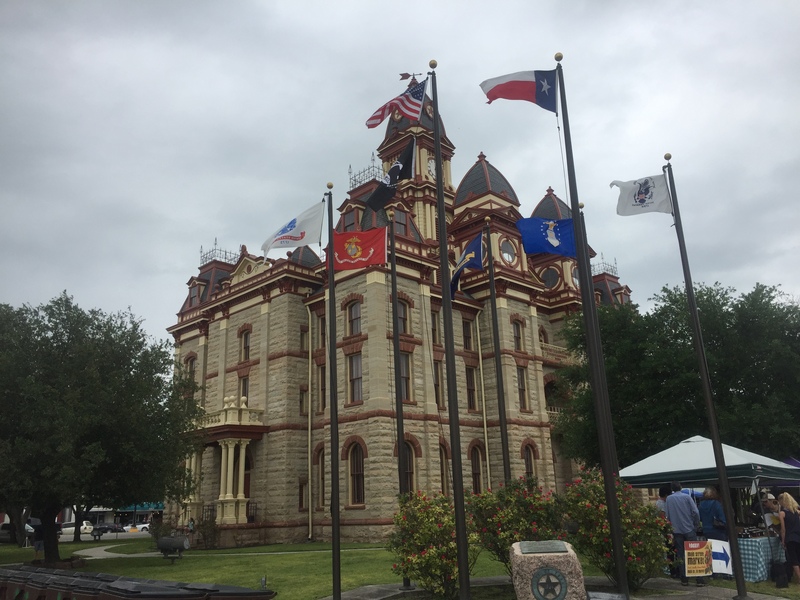 Lockhart is our overnight stop and as we pass through the town we stop to admire the county courthouse. 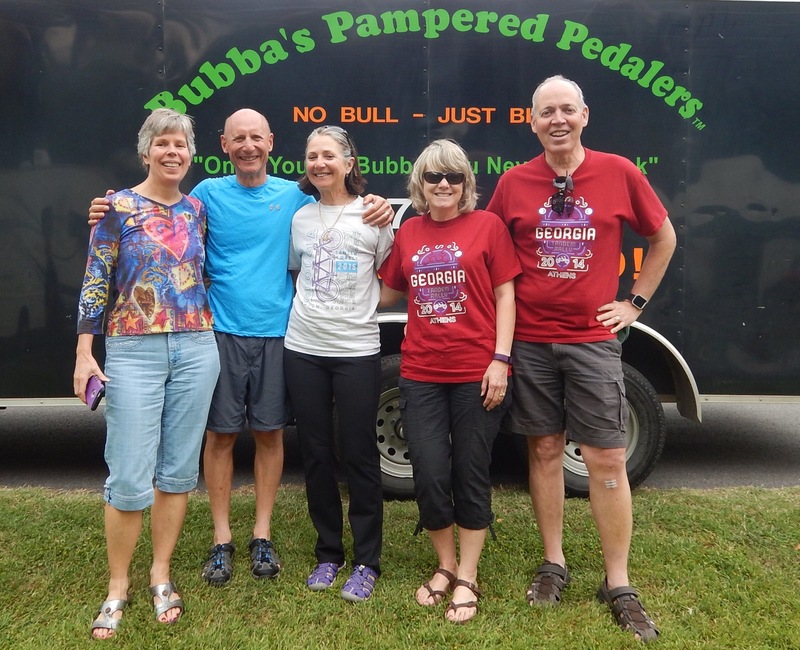 We are as close to Austin as we get on this trip, and we are thrilled to see some special tandem friends. Today my camera told me that it’s battery was exhausted…after riding for 60 miles in a headwind I know exactly how it felt! Tomorrow we are looking at an unfavorable weather forecast, and hoping for the best! You can follow this blog and get an email every time we post. Just hit the follow button in the upper right. It was wonderful to see you guys. Thank you for allowing us to share the late afternoon and early evening with you. 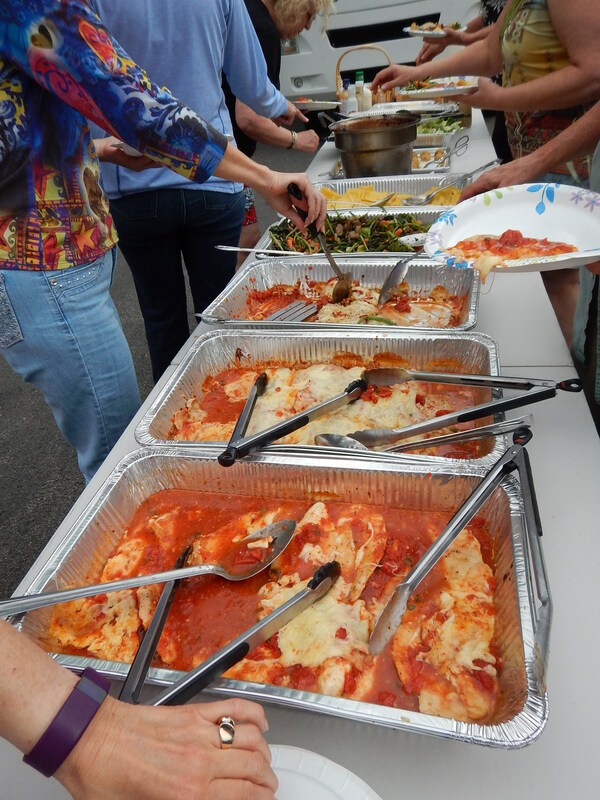 Please pass along to Chef Anne that the food was delicious and to Bubba for allowing us crash the dinner party. I hope that you get a break on the weather. It looks like most of it will pass just north of you tonight. Maybe you can get a couple of pots and pans from Chef Anne to wear on your heads if that promised hailstorm comes your way. May you have blue bonnets, blue skies and the wind to your back. Just how “mini” was that pie? In Texas, that must mean what? 12″ diameter? Just saying…..reading the blog daily is something we enjoy. Chef Anne’s meals are inspriring. Thanks for keeping up with the updates. hi to lori from oregon! Watching you in Muldoon… Looks like you have rough weather – thunderstorms and heat and humidity. Hope the tornadoes stay north of you! Stay safe. A Second Empire courthouse! I grew up in an Indiana county with one. The pie looks even better than the building, though!